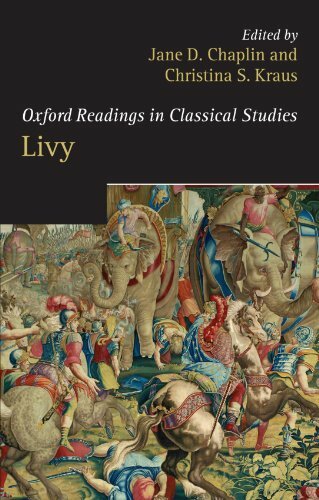 The essays in this volume have been selected and arranged to provide students with an introduction to the historiographial study of the Roman historian Livy. All classics in their own right, the eighteen articles included here work together to present a picture of this creative and acutely observant historian writing during the Augustan principate. The editors have provided an introductory guide to previous Livian scholarship, which contextualizes each essay; each is also followed by an addendum providing further context and selected suggestions for further reading. If you have any questions about this product by Christina S Kraus Editor Jane D Chaplin Editor, contact us by completing and submitting the form below. If you are looking for a specif part number, please include it with your message.